I went in to the web hosting and removed the code using file manager but I still cannot log into wp-admin. Can someone help? When I use file manager to get in the above code is no longer showing but I still cannot access wp-admin. Please post the full content of the functions.php file on the pastebin. I am completely lost, I cannot email this to you as it is a no-reply email. I do not feel comfortable here but I guess it does not matter. Is that what you want? 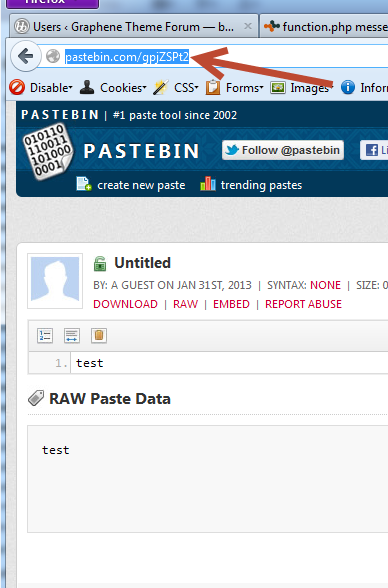 I cannot find it again in pastebin. I think you need to dumb it up for me, I am not a programmer. Thanks I ended up renaming the theme to reset the site to the default theme. I then deleted the Graphene and reloaded it again. Switched back to it and all is fine.